It’s the end of the Vine. On Tuesday, January 17, Twitter’s video-sharing platform is morphing from the popular social network spin-off to an integrated part of Twitter. 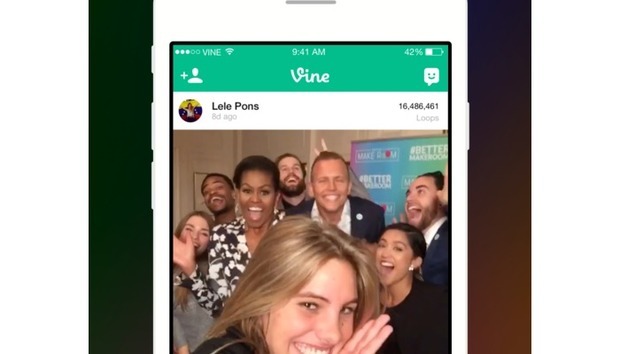 As part of the changeover, the Vine app will become Vine Camera. With the new app you’ll be able to record and edit six-second videos, and then save them to your phone’s camera roll or upload them to Twitter. The impact on you at home: January 17 is the last day you’ll be able to download your Vines via the mobile app or the vine.co website. After Tuesday, Vine.co will become an archival site where you’ll be able to view Vines, but the downloading feature will be turned off. If you’re seeing this notice after the download function is shut off you might try a third-party solution to grab your Vines—though we can’t guarantee they’ll work. The end of Vine has been several months in the making. Twitter first announced it was shutting down Vine in late October during an earnings call. The announcement inspired shock for the dedicated community that had fallen in love with the video sharing platform since its launch in 2013. In December, Twitter said Vine would live on as an app that integrated with Twitter—the aforementioned Vine Camera. The hope with the slow demise of Vine and the rise of Camera is that Vine users will just bring their six-second video making habits over to Twitter. Twitter said Vine users would start to see a “Follow on Twitter” notification for the people they follow as part of the switch. The end of Vine has some critics wondering if Twitter’s live video platform, Periscope, is next. Recently, Twitter added a live streaming Periscope button to its apps meaning you can take advantage of Periscope within Twitter—no secondary app needed. Despite that move, however, Twitter is sticking with Periscope as an independent platform for now. In December, a Periscope spokesperson told TechCrunch there were “no plans” to shut down the service.